Today, transactions are done through the line-to-line communication with the help of a customer care or support specialist. Thanks to the advancement of technology. Clients can now have an inquiry about their products by just contacting a technical support representative. So, find out more in this article about everything you need to know about support representatives and why they are the unsung heroes of the many industries. Undoubtedly, there is an increasing number of customers often order computer products through an online store. But, this also comes with several product issues such as faulty screens, pointing device issues, and outdated firmware. For these instances, technical support representatives play a vital role in a customer’s purchase. They provide quick fixes and simple solutions to common product problems. They can also provide product correction software to maximise the firmware’s compatibility with the pre-existing computer programs. But, what can a technical support specialist do for specific product concerns in niche industries? 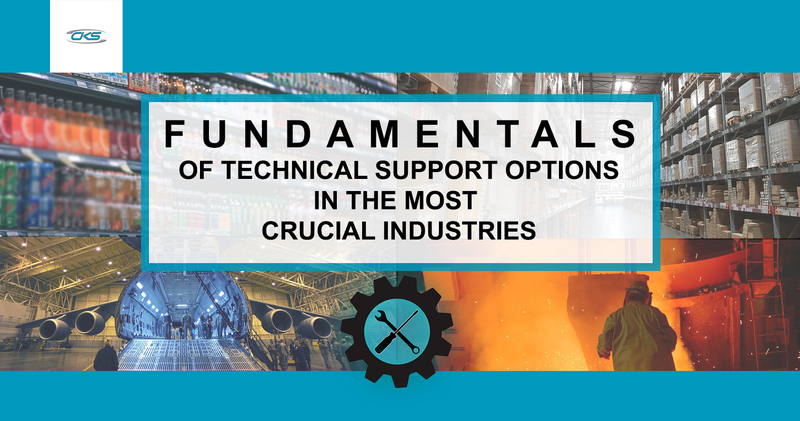 In the succeeding sections, find out what are the most common issues faced by various industry sectors and how tech support solved their problems. Each tech support specialist is specifically trained to handle the concerns regarding a product line. This gives them the capability to handle various concerns regarding the machine. Here are different types and tiers in which a specialist can be classified into. Tier 1 Support – They focus on gathering information on the customer’s product issue and provide basic solutions to common concerns. Tier 2 Support – These operatives are trained for more in-depth services such as administrative support and critical concerns. Tier 3 Support – These representatives handle the most difficult problems such as coding and data encryption and decryption. Tier 4 Support – Tier 4 tech support reps are quite different from the previous tiers. They provide corporate incident management support and track incidents being actioned by a seller [Grey Campus]. Some PC systems are equipped with a remote desktop connection software. This system allows for the support rep to control and manage your computer via a secure connection. Thus, ensuring that he or she can address the PC problem in real time. Most tech suppliers offer a free and comprehensive digital library regarding their products. These can range from installation manuals to easy-to-follow troubleshooting guides. Additionally, support videos can help guide the user through the proper configuration method which will optimise the device. Modern food processing operations are complex yet efficient operations built for large-scale production. Heavy machineries, in addition to multiple computing equipment, are used to quickly process vast quantities of raw food materials into packaged goods; some of which are ready for consumptions. Furthermore, this system has an enclosed production process which discourages bacterial growth and prevents food contaminations. It is consistently monitored by trained operators using dedicated computing systems which can track multiple products along with a fast-paced process. The food manufacturing efficiency, however, is not without issues. Any failure in the industrial computer can cause an entire sector to halt operations (FDA). That is why these devices were built to withstand the rigorous environment present in the food processing factory. But, computer errors are an unavoidable occurrence and can slow down overall production. Therefore, fixing common errors, such as software compatibility should be addressed as soon as possible. Operators having program issues with their device can call a technical support representative. They can provide solutions to common industrial computer–related problems. Here are some examples of their services. Most computer software used for industrial applications were built with specific programming to maximise efficiency and responsiveness. But, this specialised programming can be incompatible with several operating system updates. It can result in issues such as unresponsive touchscreen interfaces. Fortunately, a tech support can provide a computer program to ensure that the device’s firmware is compatible with the updated software. This will ensure that the computing equipment will function properly during operations. Thus, maximising the factory’s productivity. Many computers used for these applications have a vast array of connection interfaces to maximise system compatibility. But, a tier 3 tech support can help you which interface is the best for the application. He or she can also suggest additional peripherals which can maximise a device’s capability and functionality. Most tech support can offer assistance in optimising the computer for the automated process. They can configure the device to dedicate its virtual memory towards a single program. This, in turn, improves the industrial PC’s performance. And, at the same time, it enhances the process monitoring capabilities whilst reducing system lag time. Modern logistics and distribution operations are done by recording items using dedicated computing devices with rugged peripheral devices. These packaged goods are marked and tracked to ensure that it arrives at the correct fulfilment area. Large-scale distribution operations can process up to 10,000 items per day. But, quite often, these systems also encounter shipping and sorting problems due to the immense volume; especially during peak seasons. Any computer hardware errors or downtimes can potentially delay thousands of items along the shipment line. Thus, repairing the industrial computer peripheral should be the main priority during these scenarios. Contacting a product specialist should be the first action taken in the event of a computer error. These specialists can quickly diagnose the problem and provide an effective solution. So, expect that the devices can be fixed as soon as possible. Here are some of the innumerable benefits of getting a tech support to assist the user with these kinds of applications. Tech Support specialists can also guide users through the proper configuration setting to maximise the keyboard’s performance. This will ensure that the computer will have the data processing capability to handle the distribution demands. Logistics operations often require several interconnected computing devices to accurately monitor each package. Ensuring that these devices are in complete sync with each can be a complex task. But, a tech support can suggest several connections compatible with the system in place. This will reduce the information exchange lag time between devices across the server. Technological advancements are the key factors in all successful military operations. In fact, using military-grade computing devices have been an instrumental tool in peacekeeping operations. Most of the armed forces have a dedicated team who can efficiently utilise these machines for various defence applications. Most military operations bear extreme environments. These areas tend to experience heavy rainfall, arid winds, or humid conditions [British Drone Operations]. All of these environmental conditions can greatly affect the overall performance of most computing devices. Eventually, this can also cause the devices to provide poor performance or much worse, system failures. So, it is extremely recommended to have an expert diagnose and provide solutions to these errors. Timely execution is vital to a mission’s success. That is why military servicemen must completely focus on the task at hand. And, any PC-related issues that may occur must be addressed directly to trained technicians. Here’s what a technical support can do for the military operations. Many technical support specialists for military-related computing equipment are trained to respond quickly should any device issues come up. They can also give quick and easy to follow solutions to fix software-based device issues such as operating system errors. So, rest assured that these panel PCs will be fully functional as soon as possible. Military computers are often transported through the rough and uneven terrain. This can cause some of the internal components to be disconnected. A tech support representative can easily guide onsite users on how to repair the device. This makes it incredibly convenient for field operators, who often have to rely on themselves to fix any computing devices. A military computer infected by a PC virus poses a threat to the overall security and success rate of the mission. In fact, in 2011, a computer virus infected the US military’s fleet of Predator and Reaper drones [The Verge]. It recorded an operator’s keystroke for their missions and could have leaked critical intelligence. Such incidents can disrupt operations and that is why infected computers must be fixed immediately. But, a dedicated tech support staff member can provide an effective solution to the threat. They can remotely control and manually remove the threat using a secure virus removal system. Military missions have a strict documentation policy. This is to make sure that each action was done with the approval of a superior officer and to track the logistics ops. So, having a technical support team who can record the reports of a computer failure can help with the overall documentation process. As with what you can see, there is no downside towards having access to a reliable technical support team. They are able to provide assistance to the user through the line. Their precise documentation process also ensures that each computer repair delay can be accounted for. As of 2018, there are more than 1.6 billion tonnes of steel production is expected to grow in the global market. This is because a large number of developing countries are pushing for infrastructure project [The Economic Times]. Sure, steel manufacturers are already increasing their daily quota to meet the market growth. But, these operators need to ensure that there should also be a sustainable production of steel with high quality. So, steel factories utilise a dedicated computing system bearing the most advanced industrial application to maintain accuracy and precision. High-voltage furnaces, product quality monitoring, and precise chemical mixing are at the core of the modern metal manufacturing systems. A dedicated computing system makes sure that these processes consistently produce the right products consistently. But, there will always be instances where these devices can experience system errors due to the operational demands of this industrial application. That is why having an experienced tech support team can help fix these problems. Get to know more about the advantages of getting a dedicated tech support specialist to handle these issues. Electric furnaces apply a specific voltage to melt the raw metal ores. Chemical additives are poured into the molten mixture to achieve the desired product. The operator assigned must use the industrial PC to oversee these critical procedures. But, due to the prolonged operation times, computer errors sure to occur. These factors can certainly affect the finished product. Moreover, if these problems persist, it can delay several key operations in the system. Thus, fail to meet the customer quota. Having a team of technical support specialists can handle any product-related issues. This gives them the capability to fix the affected devices through a remote desktop software system. Furthermore, they offer real-time assistance to the onsite operator; guiding him or her through the correct reprogramming process. The user can now have the access to a fully optimised computing device. They can be confident that the entire process is being monitored by an accurate and responsive computing system. This also ensures that the required application is being performed in steel processes. Modern industrial applications are now being implemented in most crucial industries to maximise their overall production. But, industrial operators can only use computing devices to control, monitor, and regulate the production flow. Even though this equipment is built for extreme environment, it does not mean it is exempted from technical errors. Get help from a technical support for troubleshooting and computing solutions today.